This is a big bounce house with lots of activity. The 70′ backyard inflatable is the most compact and fun inflatable. This is a great piece for your party or church event. 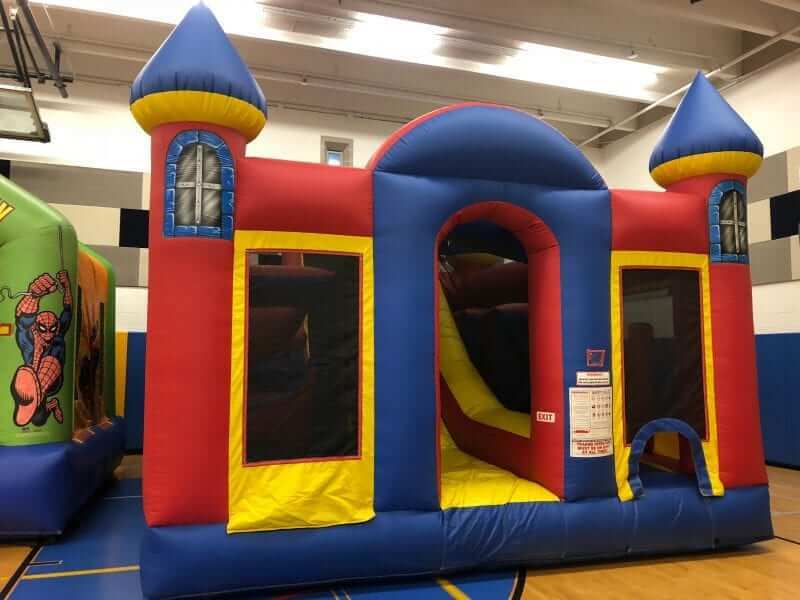 This bounce house inflatable has nine obstacles including a tunnel, climb and slide. This is perfect for just about any event…. Need a bigger wet or dry obstacle course, then look at our Tropical Obstacle Course. A big bounce house with lots of activity. At 15 feet by 18 feet, it fits in most yards. Enjoy the fun with this obstacle course inflatable. This is not just an ordinary course, it is the highlight of a party. Also, this is great for school events and festivals. Since it has so many activities, the kids really enjoy playing on it. Rent this inflatable today for your next event. Have fun with Starwalk of Dallas inflatables. We are located on the border of Richardson and North Dallas. We delivery the backyard obstacle course in Richardson, Plano, Allen, Dallas, Garland, Carrollton, Irving and Mesquite. We deliver to other cities in North Texas.